On July 18, 2015 Oak Bay Firefighter Greg Swan was traveling to Disneyland with his family when he came upon a car that had recently crashed and caught on fire. He quickly jumped into action by controlling the fire with an extinguisher from his truck and with the help of bystanders, he was able to pull the person out of the car to safety as the vehicle re-ignited. 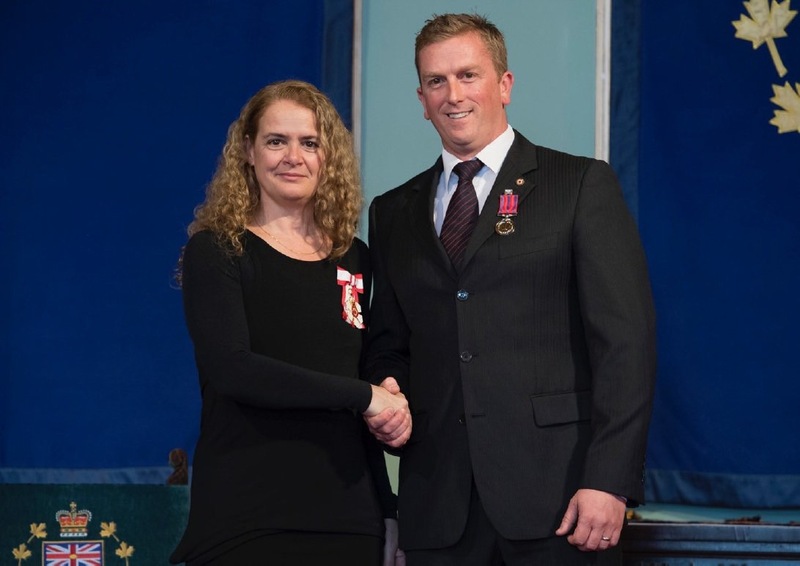 Because of his brave actions that day, Greg recently received the Medal of Bravery from the Governor General of Canada, Julie Payette. Congratulations Greg!! Oak Bay Firefighters offer CPR training for the general public. Oak Bay Fire Department/Firefighters offer fire extinguisher training for the general public. Contact the office at 250-592-9121 to set up a time. Tours range from 5-20 children.